Adventure Log: What the heck is the GS Trophy?? “Hahaha you have to throttle up and over it,” Tom replied through his Sena communications system. “If you take it too slow, you’ll get stuck on those slanted boulders!” Ahead, my teammates dropped into an impossibly steep ravine, disappearing almost completely before roaring up the far side. I fell in behind them, stammering through the muddy rock bed and clawing up the sharp facia. We threaded through pine saplings and brush, following trails deep in the Carolina forests. I was totally soaked in sweat, completely in over my head, and having the time of my life. My name is Shawn Thomas, and I love Adventure Riding. Back in 2004—and without the slightest bit of dirt riding skill—I took some off-road rider training, and soon was manhandling a ‘big’ BMW motorcycle where the pavement ends. What began with local fire roads soon became full-blown adventures in the backcountry. I have since ridden all over the world, leading tours and even teaching other people how to ride Adventure Bikes. And now I am a member of TEAM USA, soon to attend the GS TROPHY 2018 in Mongolia. Good times! If you don’t know what the GS Trophy is, don’t worry: most people have never heard of the competition. This is especially true in the USA, where these events have gone largely unnoticed even within our little niche of Adventure Motorcycle Riders. Since I aim to change that, I’ll start by explaining what the GS Trophy is. 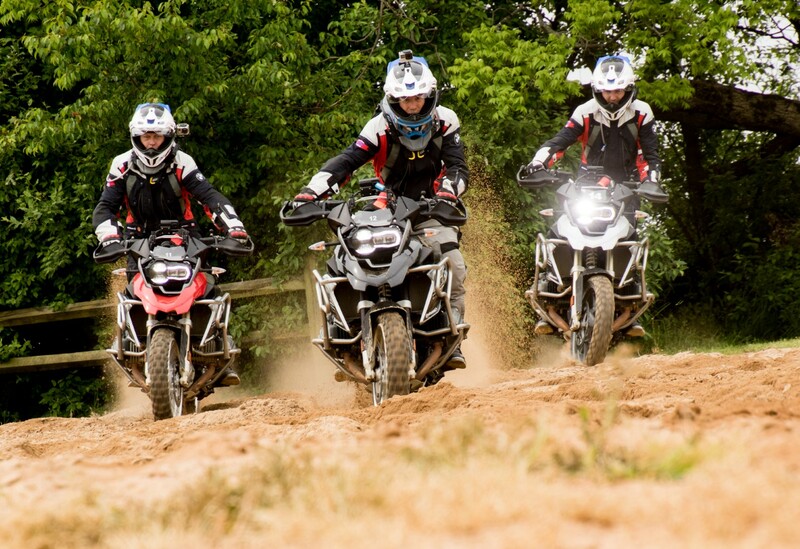 The Adventure Motorcycle segment was more-or-less invented by BMW. Back in the early 80’s they introduced the R 80 GS; a large, big-bore, long range on-road/off-road motorcycle. Despite looking like a lunar rover, the GS quickly took hold in the market and has since become BMW’s best-selling bike. Although the GS claims to be the ultimate intercontinental touring machine, most people use the GS as a short-range commuter bike or handy Starbucks hopper. BMW wanted to show the world what this machine could really do, so in 2008 started a competition called the GS Trophy. Each country that sold BMW Motorcycles chose 3 riders to represent them in an international competition. 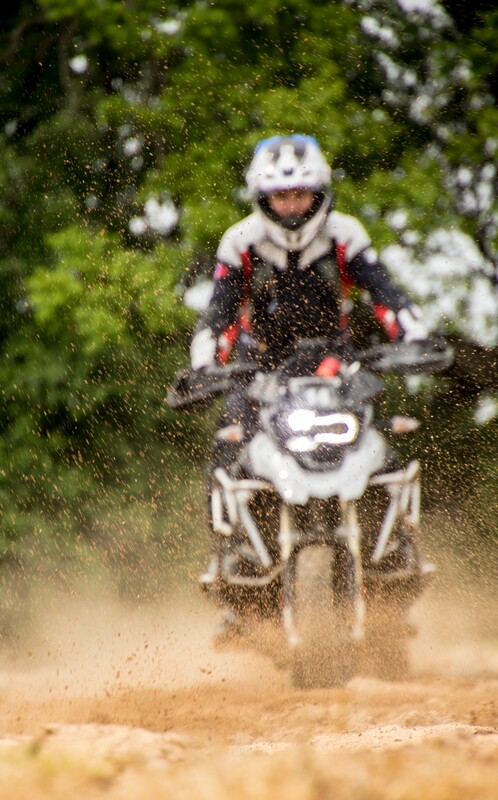 Those riders were flown to Tunisia where they spent 10 days riding shiny new BMWs in some of the most foreboding terrain imaginable; Sand, rocks, sand, mud, and more sand (FYI: I hate sand). That wildly successful first competition (team USA took the gold, BTW) has inspired several sequels. During the ‘odd’ years (2011, 2013, etc.) qualifiers are held to choose the best riders in each country. The following year those riders compete in a final event, held in some exotic location such as Thailand, South America and Canada (yes, Canada can be exotic if you know where to go). In 2017, riders were selected to complete in Mongolia, the most awesomely epic location ever chosen. Now, this is where the USA is a little different than other countries. Most of the time riders are selected at a single event, where they spend several days proving their riding prowess via all manner of diabolical obstacles. At the end of each qualifier, the top three riders are chosen to represent their country in the finals. But the USA is big: REALLY big, like, bigger than Texas and Alaska put together. So instead of having one qualifier, BMW USA has three: One in the Eastern region, one Central, and one on the West coast, with the top rider from each qualifier chosen to represent Team USA. This distinction is important, because while the three people making up Team USA were selected over 6 months ago, they have never actually met: Until today. In order to shake hands and get some riding time together, all three members of Team USA have congregated at the BMW Performance Center in South Carolina. 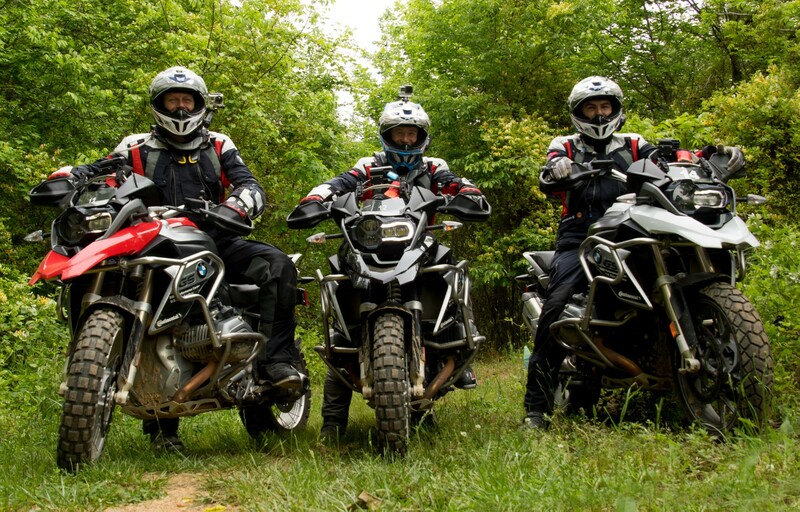 Here, riders David Vaughan, Matt Kelley and Tom Thompson have spent the weekend jumping, sliding, climbing and generally being badasses on BMW R 1200 GS motorcycles generously provided by the Performance Center. Oh, and one last thing: each team has an embedded Journalist, who tags along and documents the epic badassery as it unfolds at the final event in Mongolia. That’s me. I’m the comparatively mediocre rider that was chosen to tell the tale of the GS Trophy. And this weekend I am calling on every ounce of courage and skill just to keep up with these adventure riding juggernauts! One of the great things about Adventure Riding is the attitude. Taking a big bike off-road is challenging, no matter what your skill level. Doing it right means keeping ego in check, giving and especially asking for help when needed. Because of this, Adventure Riders tend to be exceedingly open and helpful toward others. These guys are no different; while focused, gifted and extremely competitive, the members of Team USA also present themselves as relaxed, kind and approachable. Just riders doing their best during the adventure of a lifetime. 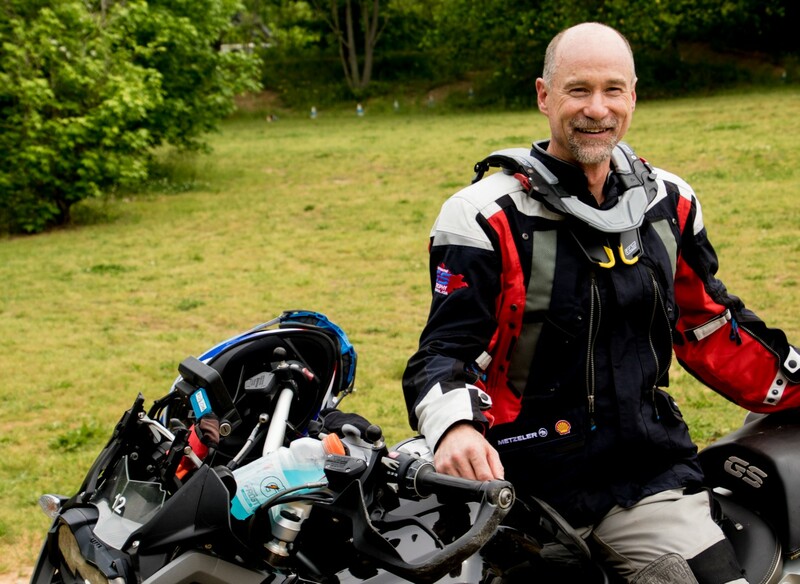 Over two days, members of Team USA practiced their craft on BMW R 1200 GS motorcycles. Our tour of the Performance Center—personally hosted by lead instructor Gary Hardin—took us through sand washes, rock crossings, forests, hills and gravel, just to name a few. Every one of us were challenged (especially me) and had the time of our lives! This June, Team USA will meet again in the rural landscapes of central Mongolia. There, they will compete against several other teams—including American riders Bettina Nedel and Jocelin Snow, who are proud members of the International Women’s team—and vie for the gold and the glory. Stay tuned and follow as we take you along for the best GS Trophy Event ever. Rock on! I am new to BMWMOA and this is the first time of hearing of the award. I would think that our top enduro/ISDT riders would be obvious candidates to compete; but having never ridden a GS bike I would have to plead ignorance. I am old and the last dirt bike I had was an '81 430 Husqvarna. It sounds like great fun. Great article, but why no mention of the GS Giants? Say hi to Jamie, one of the Canadians going to Mongolia, I met him in Newfoundland. Have fun, you'll love it! I rode the Rally Mongolia in 2010. Keep us updated, liked the story and the explaination of GS Trophy competition. I'm a GS "want to be" at 5'10" and 30" inseam I just admire and envy the GS and keep riding my RT. Let us know where these competitons are if spectators are welcome.